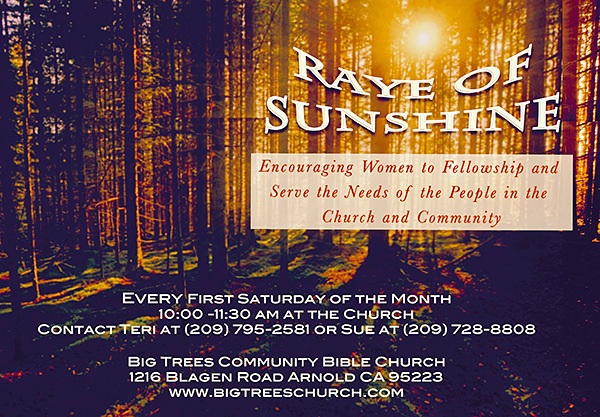 "Raye of Sunshine" is a monthly fellowship group for women. It meets at our church the first Saturday of the month, at 10:00 a.m., for the purpose of encouraging each another in fellowship while also praying for one another. And it provides an opportunity to organize and work together throughout the month by encouraging others in our church and community and serving their needs.